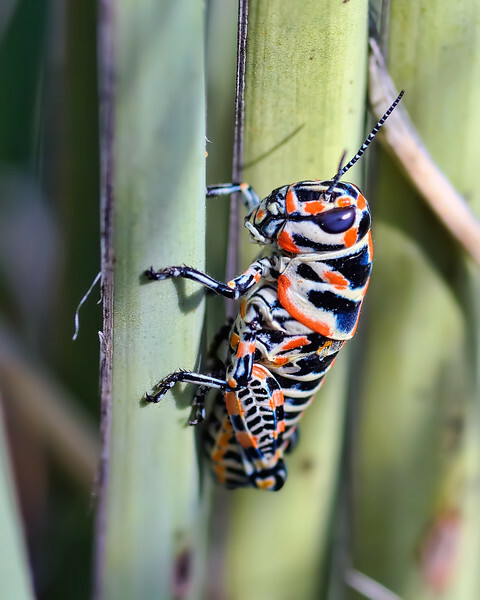 Painted Grasshoppers ( Dactylotum bicolor (Thomas)) are known for their impressive coloring. This one was spotted in SE Colorado near the Purgotorie River on a bioblitz rapid ecological assessment trip earlier this year. PS, I know you all are joking, but in case anyone truly doubts the colors are real, here's the hopper in a field guide ( http://bugguide.net/node/view/64176 ) .